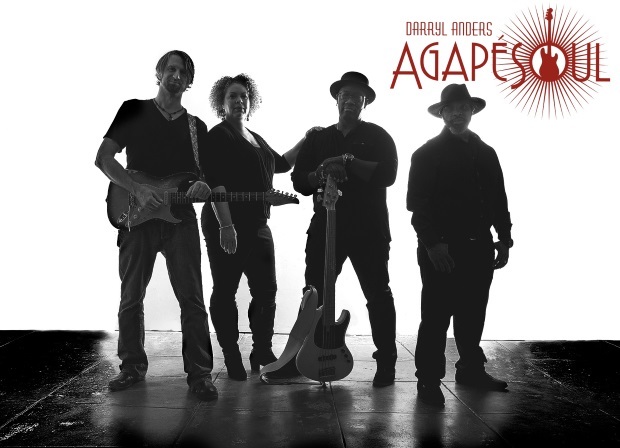 First Listen: AgapeSoul shines on "The Way That We Love"
Veteran producer/musician Darryl Anders is one of the most respected sideman in the business, having worked with legendary talents such as Tower of Power and Booker T. Jones. When Anders eventually stepped out as a front man in introducing AgapéSoul to the urban music world back in 2010, their classic organic grooves sprinkled with jazz and gospel were a refreshing breath of soul music air. And their emphasis on genuine songwriting preached nothing but love in its purest form. And they were justly rewarded with nothing but love on the SoulTracks review pages for their 2012 project, Believe in Love. Now for the latest edition of First Listen, we are happy to showcase Anders and AgapeSoul’s brand new single, “The Way That We Love,” from their CD, Conversations. Still practicing what they musically preach, this track, written by band member Zoe Ellis, is a warm yet funky ode to the celebration of romantic love. Between Ellis’ passionate vocals, a tasty bass guitar solo by Anders and the subtle guitar strokes, AgapeSoul illustrates the finer points of how real soul music is waxed in the studio. AgapeSoul - "The Way That We Love"